Summary: The Gift Planning Advisor (“GPA”) reports to the Director of Gift Planning and is responsible for assisting in the development and execution of strategic cultivation and fundraising activities that contribute to the growth foundation’s endowment. The GPA interacts daily with external constituents with a primary focus on the cultivation of relationships with professional advisors and other wealth management professionals and their clients to establish new funds and/or planned gifts that meet each donor’s philanthropic goals and further the foundation’s advancement efforts. Pursue and cultivate relationships with professional advisors regarding charitable giving and services offered through the foundation to assist them in ensuring their clients’ are able to achieve their philanthropic goals. Collaborate with appropriate foundation staff on planning, implementing, and evaluating the foundation’s outreach strategies to professional advisors. Create and maintain relationships with qualified, active prospects through professional advisor and prospective donor relationships to provide service throughout the various philanthropic phases to closure. Provide information and technical assistance to Professional Advisors and/or their clients, regarding current and planned gifts including bequests, CRTs, CLTs, CGAs, and Insurance, as well as current gifts of complex assets such as real estate and privately-held securities. Facilitate and prepare individually tailored proposals, and/or suggest trust or bequest language approved by TCF Senior or Legal Counsel. Assume primary responsibility for outreach to corporations as part of TCF’s new strategy regarding the corporate community. Work with appropriate finance, gift planning and advancement staff, as well as senior and outside legal counsel as directed, to facilitate the preparation of charitable gifting documents including new fund agreements, instruments of conveyance, etc. Collaborate with donor relations and donor development teams to secure new and additional contributions from prospective and existing donors, respectively. Stay current on legal, accounting and investment issues with a particular emphasis on charitable giving, charitable trusts, deferred gifts, tax exempt organizations, private foundations, donor advised funds and the foundation’s supporting organizations. Develop a plan for outreach and education by representing the foundation at community, donor, professional advisor and grantee functions. This includes thoughtfully preparing and confidently leading presentations to each of these constituents. Bachelor’s degree in a relevant field. Master’s degree, law degree, CPA, CFP or other similar credentials a plus. Five to seven years experience in fund development, relationship management, wealth management, estate planning or similar is highly desirable. This experience should include a focus on major gifts and planned gifts for an institution with significant resources, where responsibilities included cultivating high profile donors/clients through their professional advisors and soliciting charitable contributions with the ability to close gifts. Proven track record in adhering to the highest standards of service excellence, responsiveness, confidentiality and integrity. Proven ability to exercise sound judgment and interact effectively with existing and prospective donors, community leaders, professional advisors and representatives from non-profit organizations. Ability to interact successfully with individuals having diversity in a variety of areas including age, ethnicity and socioeconomic background. Demonstrated expertise and ability to communicate implications and benefits of a variety of gifting instruments. Knowledge of deferred giving vehicles and the tax laws related to charitable giving. The ability to take a proactive role in team efforts, promote cooperation and collaboration between team members and encourage open communication in multidisciplinary teams, including those across the foundation and external to the organization. Excellent presentation skills with the ability to educate and persuade audiences. Exceptional written communication skills and ability to manage and coordinate multiple projects simultaneously. Proficiency with MS Office, Outlook and knowledge of database donor/contributions software as well as exceptional research skills. Familiarity with Cleveland and its nonprofit sector highly desirable. Starting salary for this position will be commensurate with the selected candidate’s background and experience. The foundation offers an exceptional benefits package including medical, dental, vision, life and disability coverage, a comprehensive wellness program, a fully vested 403(b) retirement plan and three weeks of vacation the first year of service, prorated based on date of hire. If you are interested in applying for this position, please send a resume and cover letter indicating salary requirements to resumes@clevefdn.org by April 19, 2019. Candidates selected for the interview process will be contacted around the week of April 22, 2019. We regret that we cannot respond personally to each applicant. 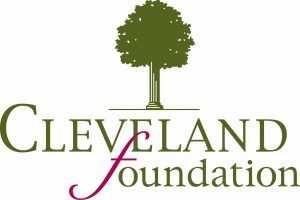 to enhance the lives of all residents of Greater Cleveland, now and for generations to come, by working together with our donors to build community endowment, address needs through grantmaking, and provide leadership on key community issues. to use the power of philanthropy to enable Greater Cleveland to be a great and global American city. Together with our donors and partners, we will make innovative, impactful, and internationally recognized contributions to the field of philanthropy.